Randy and Georgia Hinze’s life took an unexpected turn after Randy experienced problems with his heart. Unable to find employment because of his health and yet not ready to retire, Randy looked in a new direction. Filipps Bar-B-Q had just come up for sale, so he and Georgia decided to buy it and go into the restaurant business. 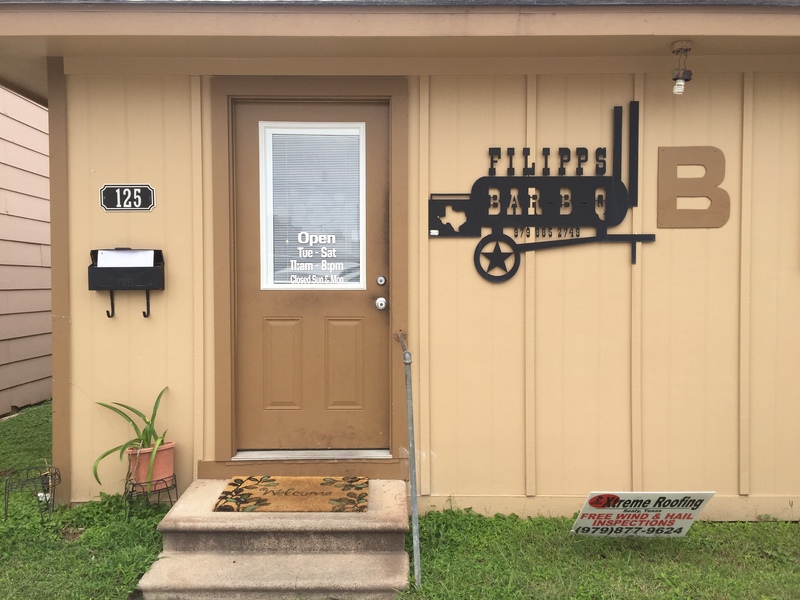 Filipps is located in Sealy, a small town on Interstate 10 west of Houston. A guy named Joe Filipps started the restaurant forty years ago and ran the place for thirty years. Filipps sold the restaurant to another couple who owned it for a few years. They sold it to yet another couple who eventually sold it to Randy and Georgia in 2009. I learned about Filipps from my friend Gil Harris who also enjoys eating at these kind of off-the-beaten-path places. Gil knows that I am on a quest to find the best burgers in Texas. So, he invited me and some other friends to join him for lunch at Filipps. And I am so glad he did. Filipps is now on my list of favorite places to eat. The restaurant sits a block off the main street in town just west of the railroad tracks. You can’t miss the small tan-colored building with the letters B B Q on the front of the building. But, don’t let the Bar-B-Q sign fool you. 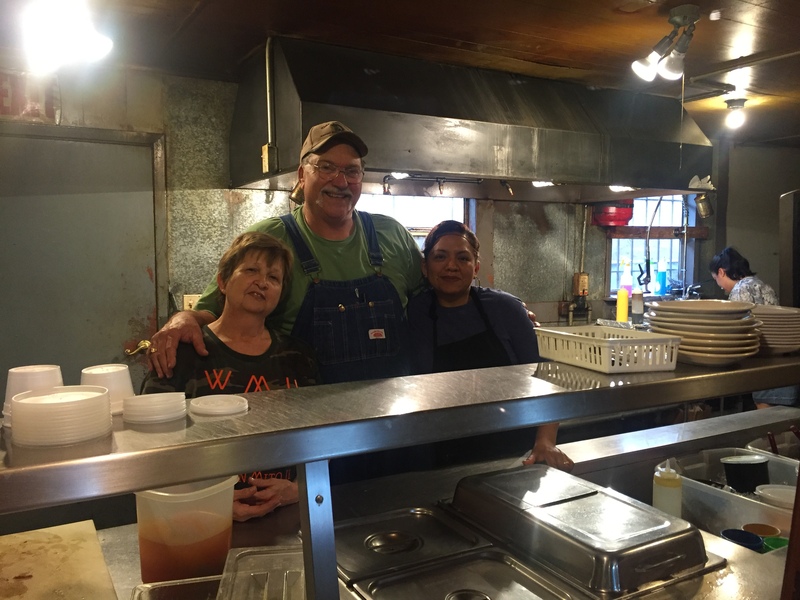 Randy and Georgia serve much more than Bar-B-Q. They have an amazing menu of delicious home-cooked dishes served in generous Texas-sized portions. I was there, of course, to sample their bacon cheeseburger and onion rings. Gil ordered their hand-cut sweet potato fries with his burger. I had been waiting a month to visit Filipps and walked through the door with a big appetite. I was so hungry I could hardly wait for my burger. So, you can imagine my delight when Georgia finally delivered my meal to the table. The burger had a half-pound of meat served on a moist bun with all of the fixings. One bite and I immediately concluded that this is one of the best burgers I have eaten in the Lone Star State — a burger with a flavor as big as Texas! Holy smoke it was good! I savored every bite as I thought about how soon I can make it back to Sealy to do this all over again. Afterward, Randy and Georgia invited me into the kitchen to see where the burger magic happens. That’s where they shared their story with me about how they ended up running a restaurant at this season of their lives. It was immediately apparent to me how much they care about the freshness of their ingredients and refuse to compromise on quality. Randy and Georgia are passionate about what they are doing. They treat every customer like family. Within minutes of meeting them I felt as though I had known them for years. Although their food is unquestionably delicious, their restaurant works because they care deeply about their customers. They offer what you will never get at a fast food place — warm hospitality and the kind of home-cooked food that keeps you coming back. 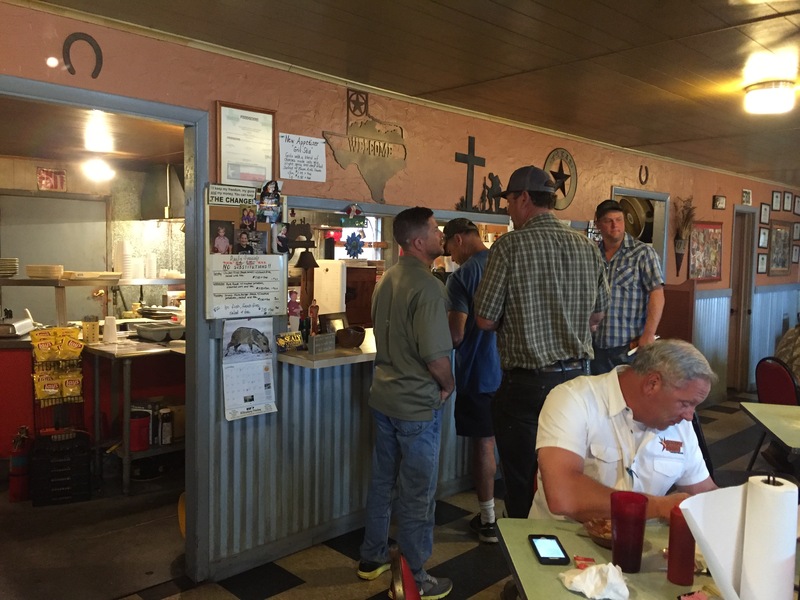 Filipps is indeed off-the-beaten path, unless you live in Sealy. But it is definitely a place worth visiting if you are ever anywhere near this small town. The restaurant is open between the hours of 11:00 AM and 8:00 PM on Tuesdays through Saturdays. Stop by Filipps if you are in the area — and tell them I sent you. You’ll be glad you did and you won’t go away hungry! 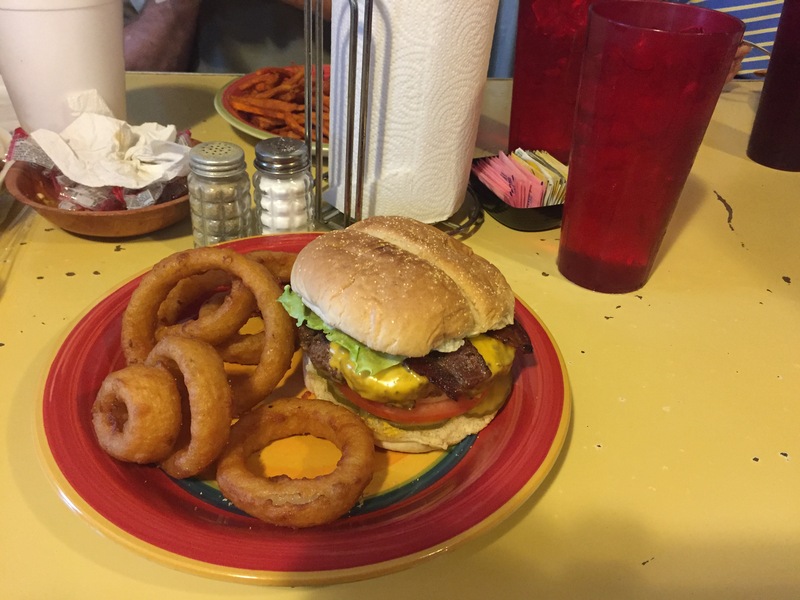 This entry was posted in Places To Eat and tagged Filipps Bar BQ, Hamburgers, Sealy. Bookmark the permalink. If you say it is one of the best you know I have to try it! Thanks for the tip! Absolutely, Brad. Let’s do a road trip to Flipps when you get home from Israel.